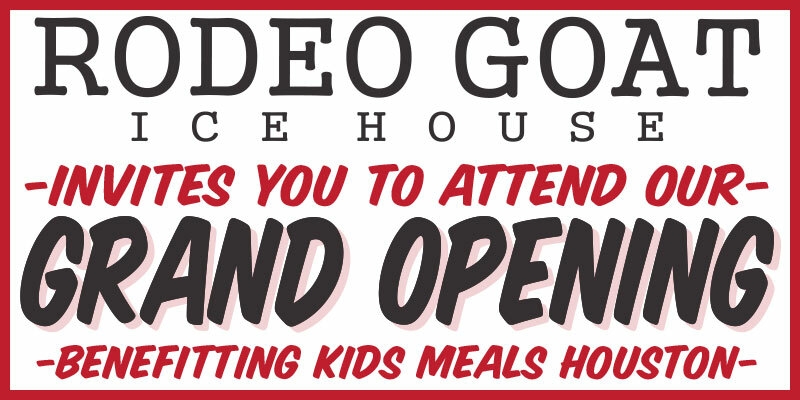 Thanks to our generous friends at Rodeo Goat, you enjoy an amazing meal, beer, wine and signature cocktail at the grand opening of their brand new Houston restaurant (only $20! ), and hungry children benefit from 100% of your ticket price! You receive wonderful dinner/drinks out and for every ticket purchased, hungry children receive 11 healthy meals-WOW!